Arlenice Almeida da Silva, Ph.D.
Cecilia Cintra Cavaleiro de Macedo, Ph.D.
Eduardo H. P. Kickhöfel, Ph.D.
A RECUSA ÉTICA NO JOVEM LUKÁCS: CONTORNOS E LIMITES DA SUBJETIVIDADE EM TEORIA DO ROMANCE. SOFiA (Symposium of Philosophical and Academic Advising / Semana de Orientação Filosófica e Acadêmica) is a Federal University of Sao Paulo (UNIFESP) traditional conference that is annually organized by UNIFESP's Philosophy students since the beginning of UNIFESP's Department of Philosophy. Besides, we count on the support of both professors and Department of Philosophy as a whole. SOFiA’s purpose is to promote and enhance Philosophy academic researches as well as to encourage students to research and get their ideas across in lectures, mini-courses, debates, presentations of students' academic works and cultural events. 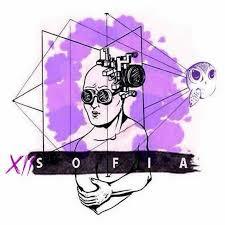 Having emerged in 2007 by initiative of Philosophy students of UNIFESP/Guarulhos, SOFiA has being contributing to the promotion of research and Education during the last 11 years.